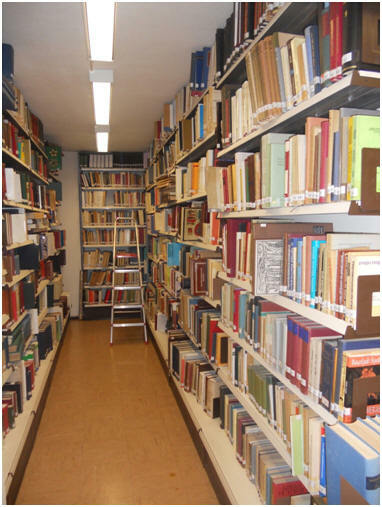 The Institute for Balkan Studies is the only library, entirely computerised, in Greece that comprises rich material on Balkan-related subjects. It was set up to serve the needs of students of the history and culture of the countries and peoples of South-Eastern Europe. 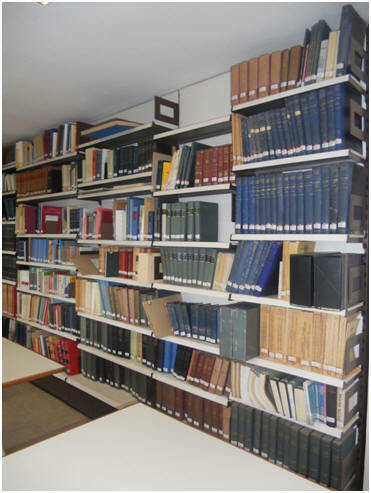 At present the library has more than 30.000 volumes and 1.519 periodical titles. The collection consists of books, periodicals, pamphlets, and offprint's published in one of the Balkan or West European languages, Greek, Turkish, or Russian. 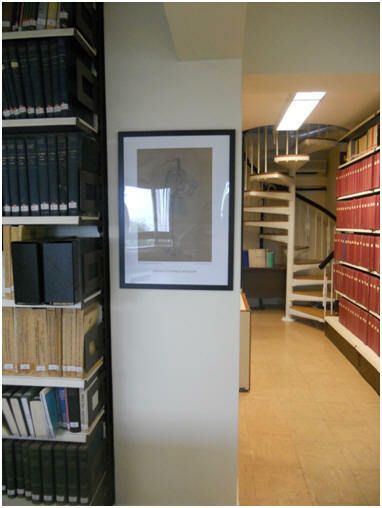 It also has a Special Collection of 450 publications. Since 1991 the articles of the current periodicals and the minutes of the symposiums, that relate to subjects mentioned below, are being indexed. This indexing has proved very useful for the research. The IMXA library liaises closely with the National Documentation Centre and the periodicals in its collection are listed in the Centre's special printed and electronic catalogues. There is possibility to order photocopies of periodical articles through Institutes collaborating with the Centre (EKT). The library is open to the public from Monday to Friday between 9 a.m. and 2 p.m. Visitors include researchers, university professors, students, and private individuals seeking information on Balkan-related topics. Apart from the usual subjects (history, politics, folklore, international relations, art, cultural relations, inter-Balkan relations, the Greeks of the Diaspora, education, archaeology, and Balkan linguistics), the visitors' interests vary with current developments in the Balkans (the Macedonian Question, minorities, nationalism, the birth of nations, economics, and politics in the post-Cold-War Balkans). 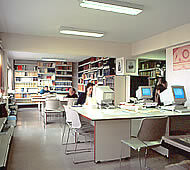 The number of people using the library has increased considerably since the establishment of the new School of Balkan, Slavic, and Oriental Studies in the University of Macedonia, the School of Balkan Studies in the Faculty of Pedagogies in Florina and the School of Languages, Literature and Culture of Black Sea Countries in the Democritus University of Thrace. The Library of the Institute is not a lending library, but readers may photocopy/photograph material they need for their research, apart from the books in the Special Collection, Doctoral Theses, Masters and those which are in poor condition. The IMXA Library has exchange agreements with research institutes and libraries all over the world, and is also regularly augmented with purchases and donations. Since 2004 IMXA participated in Operational Programme “Information Society”, axis “Culture”. A part of the project foresaw the preservation, exploitation and promotion, through digitalisation, of a big portion of the Library’s collections, and specifically the “Special Collection” and the “Karamanlidika Books Collection” (375 books in all).